Five years ago, Gus Alpogianis, 72, bought out his partners in Kappy’s Restaurant and Pancake House, the restaurant he’d run in Morton Grove since 1978, and turned it over to his chef son, George Alpogianis, now 38. 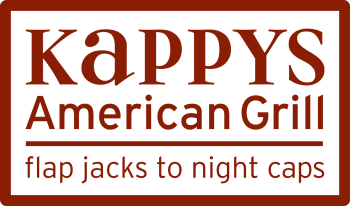 Now, George manages Kappy’s and Buckingham Cafe & Grill in Grant Park, and his brother Manolis D. Alpogianis, 34, oversees the six eateries in TAG Restaurants’ quick-service division, including three America’s Dog locations. George, left to right, Gus and Manolis Alpogianis of TAG Restaurants. When you worked at your father’s restaurant growing up, did he treat you differently than other employees? Manolis: When we meet on Sundays, there’s a lot more bouncing ideas off each other. We’re all equally setting the pace, where before, he set the pace. George: My father’s been there already – from A to Z, he’s done it. If something happens, he’s a phone call away. He’s got the answers. 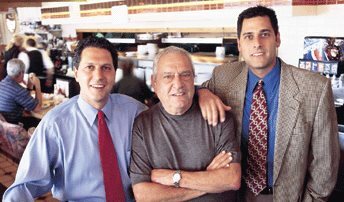 Manolis: Dad’s restaurant needed some young blood, and George provided that, but what also needs to be recognized is that Dad gave us the resources. We remodeled the kitchen, we remodeled the bathrooms, (created) new menus. My brother was 33 at the time, and a bank doesn’t always give those opportunities.